1.Waheeda Rehman who came to the cine-field as a vamp character for her first movie C.I.D. 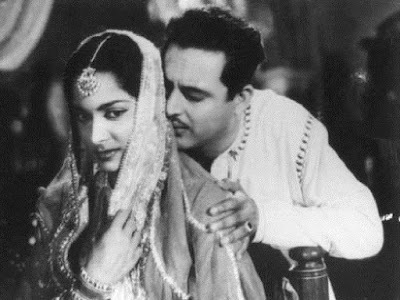 After having a sucessfull hit waheeda got a good name for the combo with Guru Dutt(Introduced Waheeda) is the first pair for the hottest onscreen pairs of Bollywood. These pair have the successful combo for 'Pyaasa', 'Kaagaz Ke Phool', 'Chaudhvin Ka Chand' and 'Sahib Bibi Aur Ghulam'. 2. The next turn comes to Raj Kapoor and Nargis. 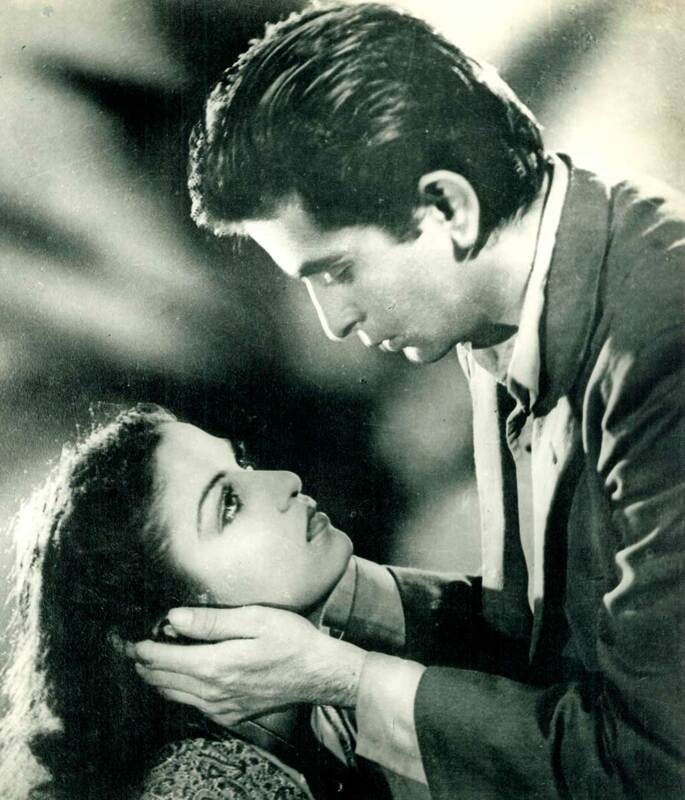 They had amazing chemistry in many movies, some of the popular are 'Aag', 'Awara' and 'Shree 420''Barsaat'. 3. 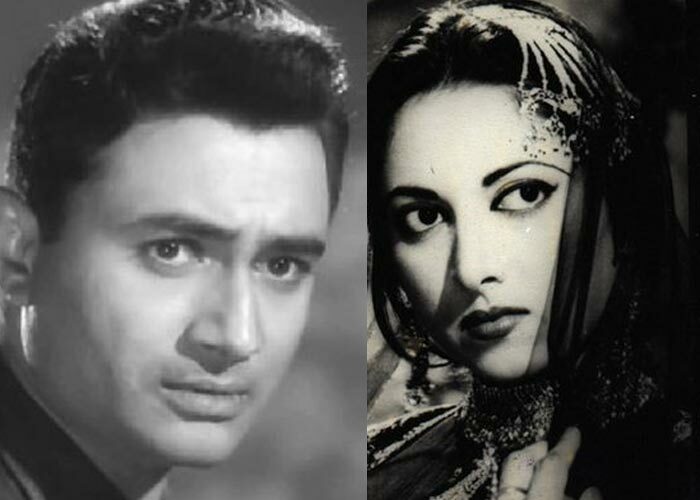 Suriya and Dev Anand,These pair got the most romantic scenes in their films during 1948 to 51. It is known that Dev Anand Proposed to Suriya on the sets of the movie 'Jeet' ofcourse they didn't marry. 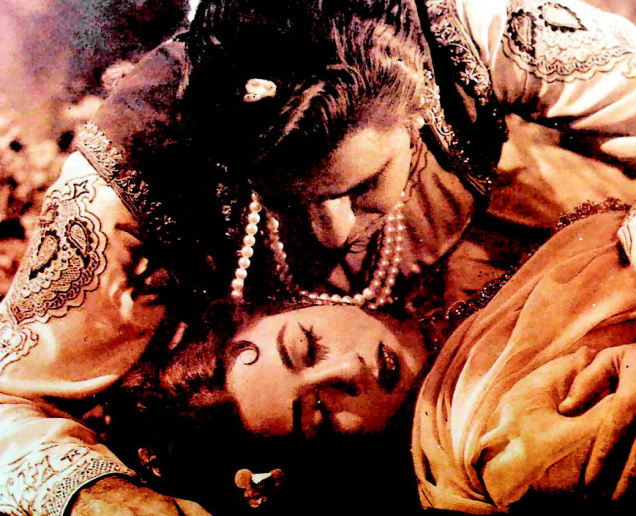 4.Dilip Kumar and Madhubala was a good pair,their first movie was 'Jwar Bhata'. They worked in very few movies and ended with a controversial court case. 5. MumtaZ & Rajesh Khanna, shared a good chemistry in films like 'Sachcha Jhootha', 'Dushman','Do Raaste','Aap Ki Kasam' and 'Apna Desh'. 6. Dharmendra,Hema pair acted in 'Sholay','Seeta Aur Geeta', 'Dreamgirl','Charas' and 'The Burning Train'. 7. There were a lot of rumors about Amitabh and Rekha doing the rounds because they looked amazing onscreen. It was quite surprising when Rekha, Amitabh and Jaya acted together in Yash Chopra's 'Silsila'. 8. Anil Kapoor and Madhuri Dixit was probably a hit pair for hit films like 'Ram Lakhan', 'Beta', 'Khel'. 9. Aamir khan and juhi chawla in 'Qayamat Se Qayamat Tak' and some more few movies. 10. Shahrukh khan and kajal who have delivered a numerous blockbuster hits 'Baazigar', 'Karan Arjun', 'Dilwale Dulhaniya Le Jayenge', 'Kuch Kuch Hota Hai' and 'Kabhi Khushi Kabhi Gham'.